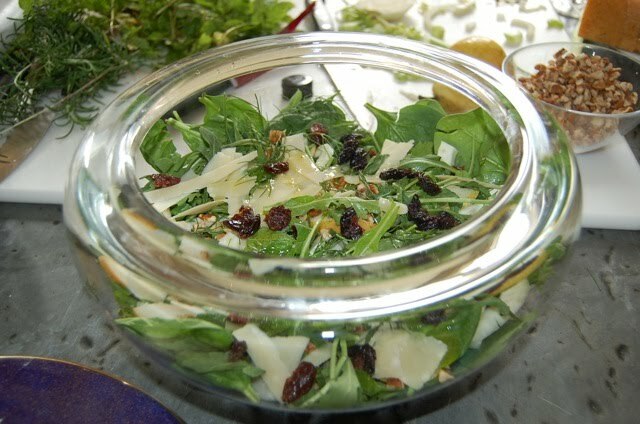 Here is one of the wonderful recipes from Nathalie that we cooked during our Southern Chef Series. I know you will enjoy it as much as we did! In the over 30 years I have known Nathalie, I had never cooked with her. When the class was scheduled at Serenbe, Atlanta Homes and Lifestyles magazine asked if they could do a feature piece on it. Nathalie agreed to fly in early for a photo shoot on Sunday morning before the class started. We agreed to cook several of the items that would be taught for the class. My friend Dana helped me that morning to get the kitchen “camera ready”- the prepped food in pretty bowls and vegetable vignettes. Nathalie and I were to have food and ourselves camera ready at 11am. The photographer and writer would show up at 10 am to set up for the 11 am shoot. Well, our set up became the shoot. The photographer just started snapping away as we started cooking. And as we cooked, Nathalie and I started a playful banter about our philosophy of cooking and eating. Joking and jesting were as much a part of the morning as were the finished dishes. Nathalie would turn a pot up to caramelize the onions and I’d turn it down because I thought she was burning them. Then she’d turn it back up. We obviously had different definitions of caramelizing! Then she’d say something about a particular technique and I’d chime right in or vice versa. It became the Fric and Frac show in the kitchen. I loved the banter as much as the cooking. Nathalie has such a wry sense of humor. It is one of her many gifts and created a hilarious morning for all those in the kitchen with us. 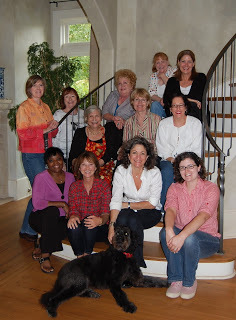 Here is a great “preview”pic from our fabulous weekend. More to come along with a new posting later this week! I’m on my way to pick up my friend Nathalie Dupree from the airport. The rest of the afternoon will be prep day for our first Southern Chef Series which begins tomorrow! The day will begin with a photo shoot and video with Atlanta Homes and Lifestyles magazine, Nathalie cooking with 11 of our Serenbe inn guests and then sitting together to enjoy our wonderful meal. The series continues Monday with more cooking with Nathalie, lunch and an afternoon of fun. Check back next week for recipes, pictures and video of our weekend! 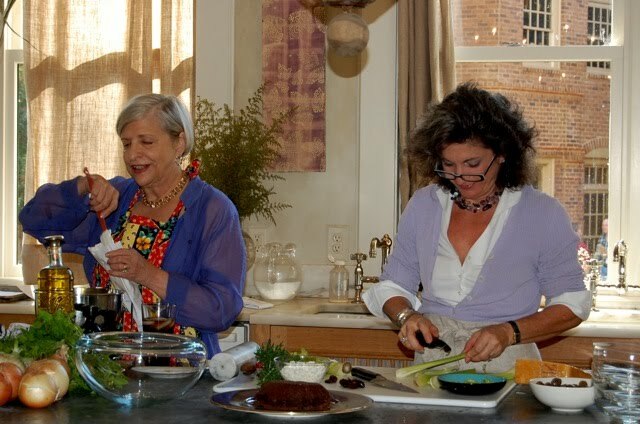 An intimate group of 10 guests will settle into their accommodations at the Inn at Serenbe on Sunday afternoon, then walk through the wildflower meadow to my home, where you will prepare dinner side-by-side with beloved Southern chef, cookbook author, & James Beard award winner, Nathalie Dupree. Dinner will follow this hands-on experience, complemented by wine and Nathalie’s stories of food and cooking. On Monday morning, participants will enjoy breakfast at the Inn at Serenbe, then work with Nathalie & me to create a farm-fresh lunch for the group. The afternoon will be spent with Nathalie, sharing secrets and stories before heading back home that evening. Update: the event with Nathalie has sold out. Please call the inn if you are interested in being placed on a waiting list in case of any cancellations. Check out more stories about my friend Nathalie throughout my blog. 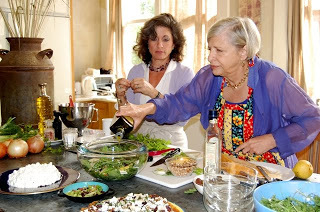 My mom, Margaret Lupo was invited to be a guest on Nathalie Dupree’s cooking show when she was here in Georgia and doing her show, New Southern Cooking for Georgia PBS. Mom went on the show to cook fried okra which was a specialty at Mary Mac’s so mom demonstrated in a cast iron skillet how to make corn meal crusted fried okra, a major southern delicacy. While on the show mom told one of her favorite stories from her days at Mary Mac’s which was in the late 70’s when she had a streaker run through the entire restaurant. One of the elderly female patrons who was dining in the restaurant, upon seeing the streaker, didn’t hesitate to blurt out a very revealing comment which mom told on live television! After sharing the story on her show, Nathalie received more mail about the streaker story episode than any of her other 300 episodes. It was and still is a well loved episode of Nathalie’s show. In fact, just last week at the Serenbe Inn we had a conference with Chick Fil-A and one of the executives who was attending related to me that was the one show he had seen and recalled just how funny and charming it was. His favorite memory was how watching two icon southern cooks was a great treat. For a wonderful look back to 1988, click here to read an article written by Nathalie about my mom! 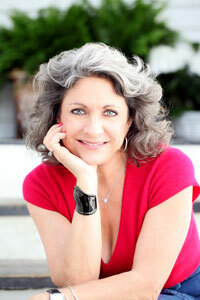 For more information on spending 2 days with Nathalie when she teaches in Serenbe, click here! From Nathalie’s book here is a copy of my mom’s fried okra. To see the full recipe, click onto arrow on the right side of the box. 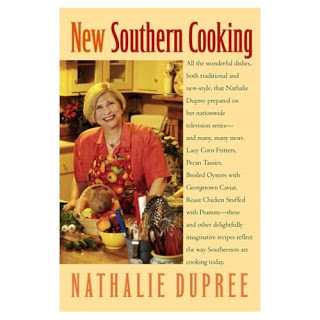 We have updated some of our original dates for our Southern Chef Series with Natalie Dupree. Our new schedule is Sunday, October 11- Monday, October 12. Natalie will be teaching “mastering the art of southern cooking” to a group of 10 guests. 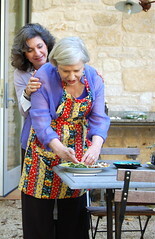 Days will be spent with Nathalie both cooking, learning her favorite recipes and hearing her wonderful stories of her many cooking adventures. The chef series features Sunday and Monday afternoon cooking with Nathalie, lunch and dinner including wine and a one night stay at the Serenbe inn for each guest will be $295. Please call the Serenbe inn at 770.463.2610 for more information and reservations. We are very fortunate to have this opportunity to share Nathalie with 10 lucky guests! Please don’t miss out on this once in a lifetime opportunity. This will be a wonderful event to plan with your friends for a lovely little get-a-way. As a personal friend, stay tuned to my blog for some memories and stories I have of Nathalie and her history with my mom. A beautiful Thursday afternoon sitting in Marie’s kitchen, it only takes me a few minutes to realize her passion for food, cooking and life at Serenbe. Marie’s definition of food is one that that says it creates a wonderful community gathering place. “In your house, everyone always gathers around the kitchen. Food is not just about traditional nutrition but rather about feeding your soul”. For Marie, cooking is about caring for people and showing your love to them. 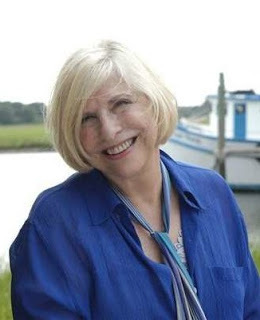 To truly experience the essence of Marie as I did sitting with her, click on the play button below to hear her passion and what she wishes to bring to our blog readers!